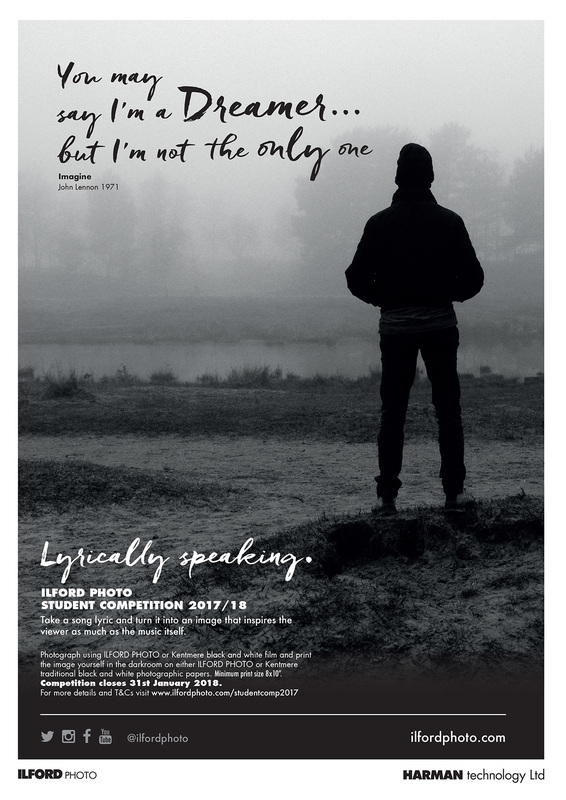 From Alt-Rock to Old School Pop and Reggae to Rhythm and Blues.Take a song lyric and turn it into an image that inspires that viewer as much as the music iitself. Take a song lyric and turn it into an image that inspires that viewer as much as the music itself. Photograph using ILFORD PHOTO or Kentmere black and white film and print the image yourself in the darkroom on either ILFORD PHOTO or Kentmere traditional black and white photographic papers.